The 'Cases' Rebels celebrated their second top flight season with the marquee signing of Jason Doyle, who had become 'surplus to requirements' at Swindon when the BSPA's Annual Conference ruled a maximum limit of one eight point averaged rider per side. he return to the Oaktree for Doyle, now brandishing the label of World Champion, was confirmed in December and rapidly a team was built around the reigning world number one that had a fix of familiarity - Charles Wright, Richard Lawson and Jake Allen - amongst new faces of Jack Holder (from Poole) and Danish debutant Jonas Jeppesen, and being completed by another returnee, Bradley Wilson-Dean after he claimed double success by becoming New Zealand Champion and New Zealand GP champion. The anticipation of seeing this new septet in action at the OakTree turned to frustration as the British spring did it's best to wipe out the 2018 season. After an early season challenge fixture at Leicester, one of Doyle's former tracks, finished in a narrow 44-46 defeat the Rebels had to wait until the 16th April before they were next out on track, the Easter double against Poole being a total wash-out. Ironically that second meeting was also at Leicester but it ended in a big 20-point defeat for the Rebels and just two days later, 18th April, the doors eventually opened at the Oaktree, Somerset turning around a sluggish start to claim victory, again Leicester the opposition,through Wilson-Dean's heat fourteen winning reserve ride. An end-of-the month trip to Manchester again began disastrously for the Rebels but a mid-meeting muster enabled the consolation point to be secured, going down 43-47 with Doyle holding off the strong Aces combination of Max Fricke and Craig Cook who were kept on their toes by an incessant ride from Holder. This foursome was, later in the year to become embroiled in an even more memorable set of races. The re-arranged Knockout cup meeting against Poole, that should have been the Easter showpiece, kicked off a busy May and the Rebels came through with a solid 14 point victory which they had to bank until the eventual second leg some eight weeks later. Another away point was claimed with a 42-48 defeat at Rye House although it wasn't to last long on the points tally for the Rockets' days were numbered due to financial problems. A heavy defeat a week later at Wolverhampton hinted that it would be a long hard slug of a season for Somerset, although there were plenty of happy faces at the Oaktree on May 16th as a 50-40 win over Doyle's former club, defending champions Swindon, was secured, although yet again it took until heat 14 before the points were in the bag.The Rebels followed that up with a win over Belle Vue, Doyle inspiring the victory with a full house on a night when Wilson-Dean and Jeppesen, the two reserves, were both sidelined through injuries, Todd Kurtz and James Shanes deputising. Charles Wright, in his sixth consecutive season at the OTA found himself at loggerheads with Garry May in what became an immediate untenable situation, which, according to May, could have been addressed through a simple apology. The boss let things lie for a few days but with no word coming from Stockport, May moved to change the line-up and invited Claus Vissing to rejoin the Rebels at Wright's expense. May also felt that he needed a bit more experience in the reserves department and included a further change on his re-declaration which released Jeppesen in favour of Nico Covatti. In truth, the changes were not universally popular on the terraces, although time was soon to prove that May had worked wonders in bringing the Argentinian to the club. The return of Vissing was also to be short-lived and Rebels promotion were tempted to sign Chris Harris, but the timing of Rye House's official demise proved costly as they were unable to fit his July average in by a fraction, and how might that have changed the ultimate destiny of the league title? Instead, it was Bomber's Rockets' team mate Aaron Summers that replaced Vissing after just two meetings that had netted one scoring ride. The decision was made easier for May because ahead of the Rebels second leg of the KO Cup quarter final, Vissing sustained an injury and so rider replacement operated for him and the Rebels won in Dorset to progress to the semi-finals. Summers' debut came at Wolverhampton and the new-look Rebels stunned the speedway fraternity with a 49-41 triumph - the first time Garry May had taken a side to Monmore Green and won! Doyle (13) and Holder (paid 12) masterminded the victory which took the Rebels to the top of the Premiership league table and eleven points a piece in the Rebels' next meeting - at Swindon - again supplied the content for an amazing away win to pull clear of the Robins who were, prior to the meeting, just a point behind them. The following night, Wright re-appeared at the Oaktree along with his Sheffield team-mate Kyle Howarth in the SGB Championship Pairs and as you would have expected the two former Rebels stole the show. That eve-of-GP meeting happened to be the only night speedway was staged during July at the Oaktree but before the Rebels could appear again at home they had a trip to King's Lynn to contend with, which they had to make without Doyle who had been injured at Cardiff, and ended in a pointless return, despite an encouraging start. The defeat also knocked Somerset off the top spot due to Swindon winning at home against Wolves. 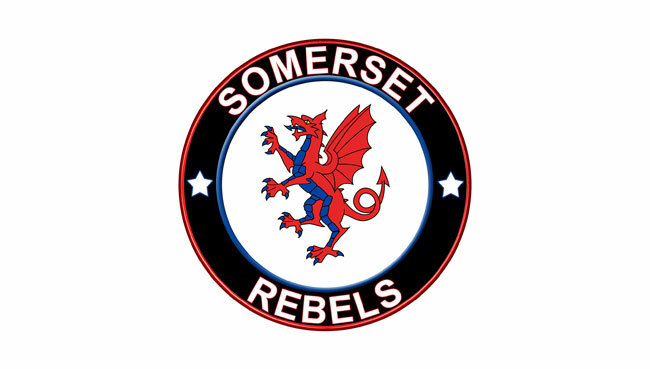 Second versus first billed the next Rebels meeting and an emphatic 54-36 home win for Somerset restored pole position. By the time Somerset travelled back to Poole for a league visit the top of the table had become quite congested with Swindon back top on 32 points, then King's Lynn, Poole and the Rebels queuing up on 31. Somerset left Poole with a point - it should, arguably have been more, but in the event it was Poole who went clear at the top and left the Rebels sharing second with Swindon. A home defeat by Belle Vue derailed the push somewhat but with the Pirates visiting the Oaktree five days later it was another top of the table clash and one which the Rebels won convincingly to go back to the pole position again, where they remained after their two-in-a-week home schedule with a win over Leicester. Bank Holiday Monday sent the Rebels off to Dorset again, this time for a lunchtime fixture and despite picking up a consolation point by the time all the meetings had been completed that day Somerset had slipped to two-points adrift of co-leaders King's Lynn and Poole. A win though over Wolves leap-frogged the Rebels over the Pirates but King's Lynn were looking ever stronger and maintained a two point lead at the top. The Rebels could have done with a win at Leicester and it looked on the cards for much of the meeting, but ultimately they had to settle for a consolation point, going down 44-46. Lynn were winning at Wolves and so the gap widened further. Such a gap was not evident the following night when the Rebels went off the leash beating Lynn 61-29 and then the very next night signed off their regular league campaign with a trip to Manchester. It ended in near disaster for Jason Doyle in heat 15 as he collided with the air-fence at the National Speedway Stadium and was thrown over his handlebars as he sought to take the honours in an enthralling match, which concluded with an Aces 5-1 as Cook and Fricke took advantage of Doyle's misfortunes. Two heats earlier, Doyle and Holder had both been very much on their toes as they slugged away to keep out Cook , only for Max Fricke on that occasion to come from nowhere and steal the race win in what hitherto was labelled race of the season. Just a week later the Rebels hosted the Aces in the Knockout cup and built up a decent 14 point lead, and a mere five days later were facing their first ever top flight play-off meeting, hosting Poole. A double figure lead would have been ideal again for Somerset but the Pirates produced their best performance of the year around the Oaktree and restricted the Rebels to a delicate two point advantage. Before that one could be played out, the second leg of the cup semi-final was staged and again Somerset gave a solid account of themselves in Manchester with the expected heat 13 once again living up to expectations, this time another 5-1 going in Belle Vue's favour to tense the affair up as the hosts were hunting three maximum heats to force Golden Heats. Richard Lawson though relieved things getting in between Tungate and Berge in heat 14 to confirm at least one final for Somerset in 2018. For the second leg of the play-off, some two weeks after the first, the Rebels found themselves without Bradley Wilson-Dean who was recovering from an operation to have metalwork removed from his troublesome shoulder. With the reserves already assured of being busy covering his rides things started positively adding six points to that slender first leg two gain. But then the "busy" turned to "hectic" as Jack Holder was hit from behind in his opening ride by former Rebel Brady Kurtz, both suffering shoulder injuries which unsurprisingly ended not only their night but their seasons too. The loss of Holder was felt massively as May tried his best to juggle around his riders to cover the start-of-meeting rider replacement arrangement and the injured rider replacement facility that came into effect to cover Holder's full ride count. The long delay whilst the two injured riders received the best possible attentions worked nicely into Poole's hands. Four maximum heat scores mid-meeting, virtually from nowhere for the hosts changed the complexion of the tie and heading into the 30th heat of the semi-final the scores were all square. Golden heats looked a certainty as Doyle led heat 15 but if there is a play-off opponent you dont want to face it is Chris Harris at Poole and with a piece of sheer brilliance and exhilaration somehow the Cornishman squeezed by the New South Walian off the final turn and the man who had been on the verge of being Rebel, broke the hearts of the Somerset side. So no double hopes for the Rebels and by the time their cup final against King's Lynn came around the Stars' hopes of such an achievement had been shattered with Poole winning the league title, a combat in which the Norfolk side had lost influential reserve Michael Palm-Toft for the season. The Rebels staged the first leg and making a guest appearance was a certain Charles Wright. They say time is a healer and Wright's performance certainly healed any rift there have may been, not quite as quickly as his shoulder healed after being dislocated during his third ride however. But Wright completed the night with a paid 11 return although the Stockport lad was not eligible to join the Rebels in Norfolk, that responsibility falling on the shoulders of another former Rebel, Paul Starke. Wright's contribution had enabled the Rebels to build a sixteen point lead to defend the following night. Ironically that was the same margin the Stars were behind after the first leg of the play-off final and they managed to make Poole sweat in that second leg, so the Rebels knew they couldnt sit back. But before any action could get underway Garry May was back on the phone trying to find a replacement for Jake Allen who had to decline the trip after damaging his leg the previous night. Eventually he was able to convince Fernando Coty Garcia to accept the booking, although it was on the condition he be helped out with equipment, and it was his compatriot Nico Covatti, another star of that first leg with a paid 15 haul, that came to the rescue. And so, with the rare sight of two Argentinians filling the reserve berths, the Rebels went out seeking silverware. No sitting back on their laurels and within four heats their aggregate lead had risen to 24 and it soon became a matter of when, not if, the celebrations would begin. Quite fittingly, it was once the two heros of the season, Jason Doyle and Nico Covatti, combined for a 5-1 in heat 11 to make the aggregate scores 90-66 with just four heats remaining. Even four Stars' maximums couldnt deny the Rebels the cup and although Lynn were able to force a draw on the night it was academic..... the trophy hunt had been a Rebels success. What lies in store in 2019 is now dependent on the outcome of the November conference of the Promoters and whether Garry May can deliver on his words to 'do my upmost to bring Charles Wright back to the club."